As controversial anti-piracy legislation stalls in the US, a European group of free internet supporters, La Quadrature du Net, calls for a halt to similar legislation in the European Union. As controversial anti-piracy legislation comes to a halt in the US, European supporters of a free internet have called for a halt to similar legislation in the European Union. Advocacy group La Quadrature du Net is calling for opposition to the anti-counterfeiting trade agreement ACTA in the same way that stalled controversial SOPA and PIPA legislation in the US. “As the EU Parliament starts working on ACTA, citizens across Europe must push back against this illegitimate agreement bound to undermine free speech online, access to knowledge and innovation worldwide,” the group said in a statement. The call comes ahead of the EU Parliament’s development committee’s first debate on its draft opinion report on ACTA. “This disastrous draft opinion report is deceptive and tries to justify extremist repressive measures to protect the outdated regime of copyright, patents and trademarks,” La Quadrature du Net said. The group also claims that the draft report completely overlooks the widespread criticism against ACTA, including NGOs such as OXFAM and some of the EU's main trading partners. 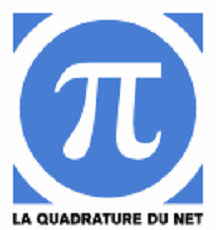 La Quadrature du Net says the draft opinion report must be amended to reflect the crucial problems raised by ACTA. “Members of the EU Parliament must take on these various issues and reject this infamous agreement once and for all. Citizens must take action to make sure that the EU Parliament gets the word,” the group said.